Most people love the refreshing fizz and bubble of the occasional cold carbonated beverage. There are some myths about the dangers of carbonated drinks, but also some valid concerns about consuming them. To some people, the satisfying bubbles of carbonated drinks are a mystery. However, carbonation is occurs from the addition of a gas known as carbon dioxide or CO2. Adding CO2 to a beverage can be a natural process or it can be added manually. Carbon Dioxide may sound like a scary substance to consume in a standard household beverage. Many claims exist that a variety of outcomes can occur from drinking beverages containing CO2 such as decreased bone density, enamel decay, and digestion issues. However, numerous clinical studies debunk many of these concerns. One side effect of drinking carbonated water that is true is experiencing bloating or fullness. An easy remedy if you experience bloating or fullness is to consume only a little of the beverage at a time. Although the carbon dioxide in carbonated drinks isn't dangerous, some varieties of carbonated beverages may be harmful to overall health. Many of these drinks are sugar-sweetened beverages such as soda or tonic water. Additionally, diet sodas are a carbonated drink that may not be the healthiest choice. A 2007 meta analysis indicated soda consumption as a leading cause of type two diabetes, obesity, weight gain, low calcium levels, and dental caries. Additionally, a 2016 study in mice revealed chronic soda consumption resulted in oxidative stress and disruptions in the biochemical functions of the liver and kidneys. Although is it lower in calories and sugar, diet soda contains artificial sweeteners to replace sugar. The safety of artificial sweeteners has been investigated for years. However, a 2018 study linked artificial sweeteners to obesity and diabetes. Artificial sweeteners have also been linked to increased risk for weight gain, high blood pressure, heart disease, dementia, and Alzheimer's disease. Although water is in the name, tonic water contains many other ingredients. Some common ingredients found in tonic water can be harmful to health including sugar, high fructose corn syrup, and quinine. Sugar and high fructose corn syrup may contribute to diabetes and obesity. Quinine is an ingredient that adds bitter flavoring to tonic water. Quinine was once used as a medicine for leg cramps and produced unwanted side effects. Quinine in tonic water is regulated to a safe, diluted amount. However, play it safe and avoid over-consuming tonic water. If you love the experience of drinking a carbonated, fizzy beverage, but want to steer clear of sodas, have no fear. Healthier carbonated drinks exist that still taste great. This type of carbonated drink is water collected and bottled from a natural spring that contains naturally occurring vitamins and minerals. Carbon dioxide is added to some mineral waters to create carbonation. Kombucha is a carbonated, probiotic beverage that tastes great and helps keep your digestive system healthy. Many varieties and flavors of kombucha exist, but if you're trying it for the first time, choose a fruitier, option as kombucha tends to be a little vinegary. Additionally, kombucha uses sugar to sweeten the beverage, so when selecting the beverage, choose a variety that is lower in sugar such as GT's Gingerade. Carbonation from the carbon dioxide found in beverages is not harmful to health and can make a drink refreshing and tasty. 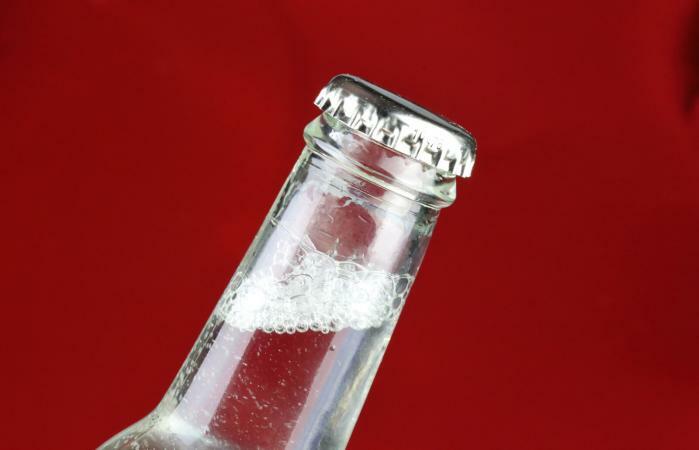 Some less healthy carbonated drinks exist including soda, diet soda, and tonic water. However, carbonation can still be enjoyed in better-for-you beverages such as seltzer, mineral water, and kombucha. Carbonated drinks should be treated as any other food and be consumed in moderation. Always speak with a doctor if you are experiencing abnormal symptoms.